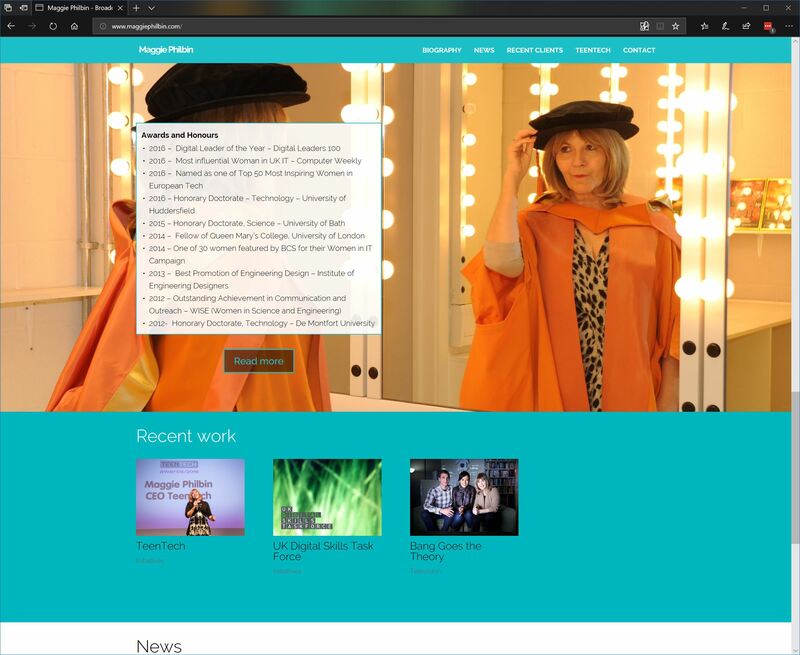 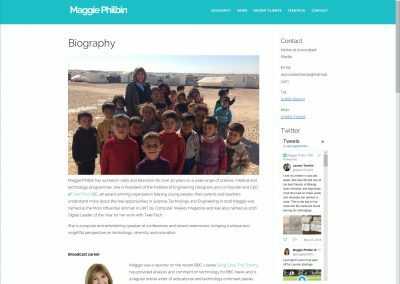 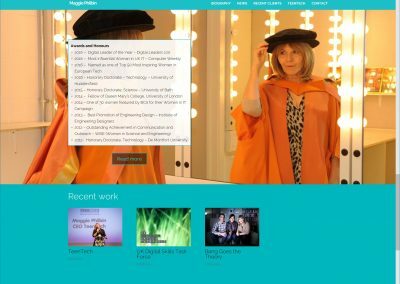 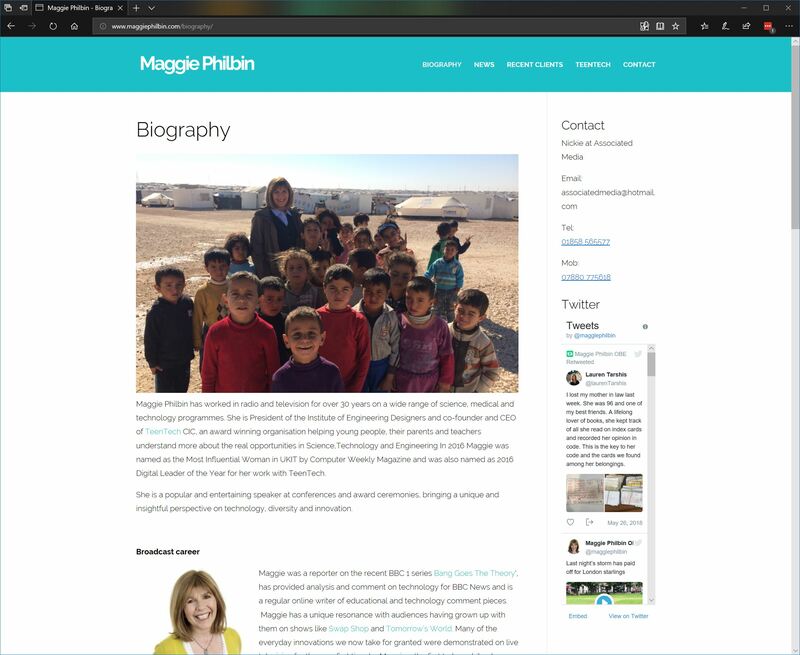 We worked on Maggie Philbin’s website and branding. 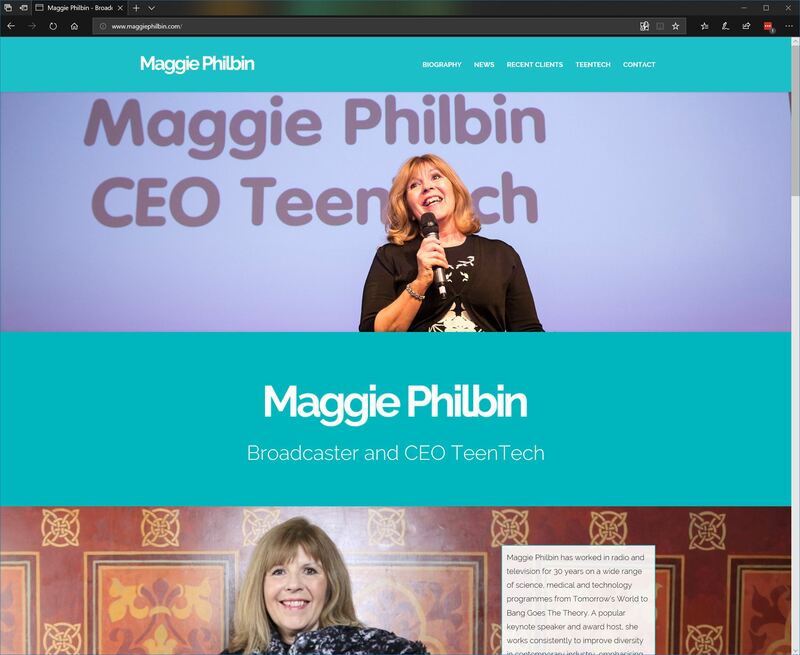 We designed Maggie’s site to be clean and responsive, with a bold and playful logo. 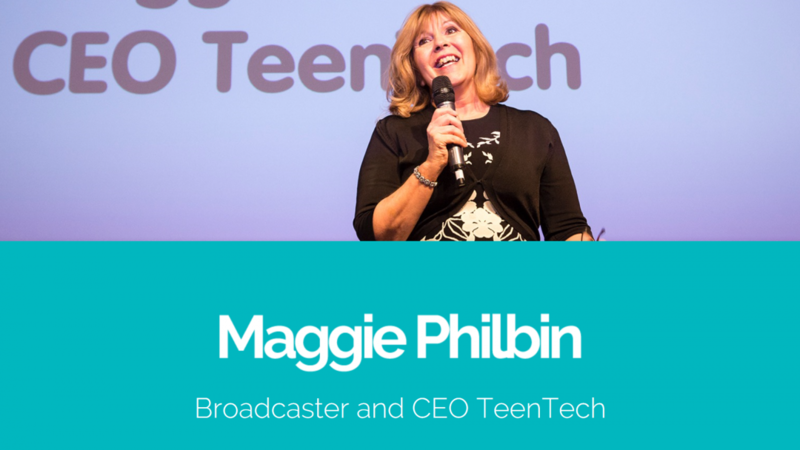 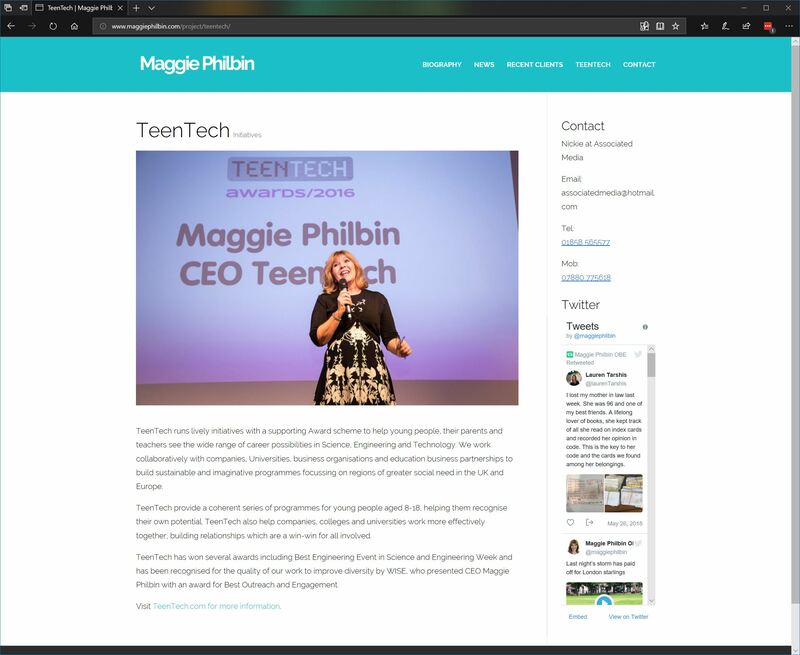 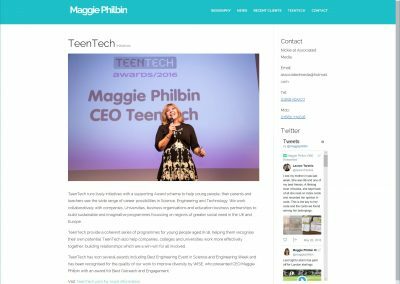 The website showcases Maggie’s work as a broadcaster and as CEO of TeenTech.